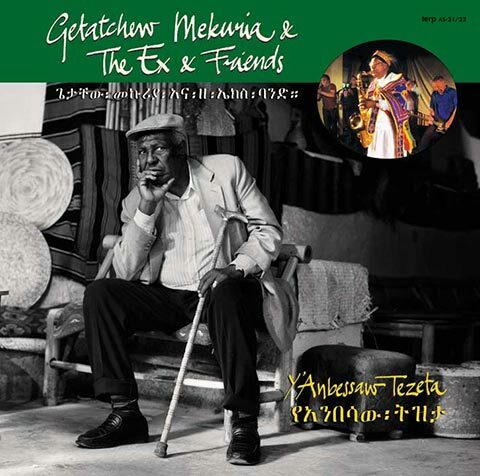 “Y’Anbessaw Tezeta” by Getatchew Mekuria + The Ex + Friends will be released on Terp Records on 9 July. 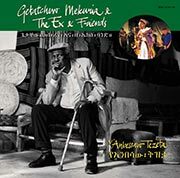 We recorded in December, in Wormerveer and Addis Abeba. The result is stunning. Deep, old, classic melodies. Very different from the last one. Instrumental, more sensitive and fragile, deeper. Amazing horn riffs and solos, but also danceable, with up-tempo war-chants. Many things. He called it “;Y'Anbessa Tezeta” (In Memory Of The Lion). Memories of 65 years of playing music! But also always new and forward. Recorded December 6/7 2011, February 24/28 2012, April 5/23 2012 in Jottum, Wormerveer, Holland, and May 3 2012 in Fendika, Addis Abeba, Ethiopia. Engineer Jottem: Maarten Tap. Co-engineered: Andy + Arnold. Engineer Addis: Arnold. Mixed by Arnold + Andy at Andy's home and in Jottum. Mastered by Frank van der Weij.